A reader of this blog called Luke emailed me a few days back with a couple of screen grabs he had taken of Loch Ness. The question concerned the dark shaped object that is there in the first snap but not in the second. Luke cleaned up the image a bit to produce this clearer view of the object. 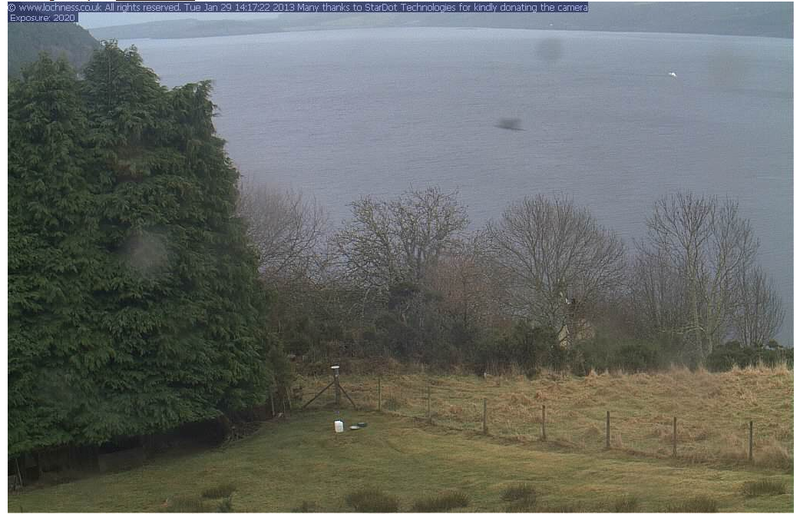 The webcam says the first image was taken on the 29th January 2013 at 14:17:22 and the second one ten seconds later. You can see a Caley Cruise type boat progressing down the loch on the top right. So what is it? In terms of similarities to previous Loch Ness images, it reminded me of the photograph taken during the Edward Mountain expedition of July-August 1934 with that dark line and the blur above it (which I take to be spray thrown upwards). I agree with Luke in his assessment that it is not something on the lens like the rain drops. The rain drops remain on the second image whilst the object does not. My own initial thought was that it might be an insect flying past the lens. The body is the extended dark line and the wings produce the blurred motion. However, what type of insect that might be I was not certain and I was further unsure whether insects are to be found flying around the cold Highland air in Winter? 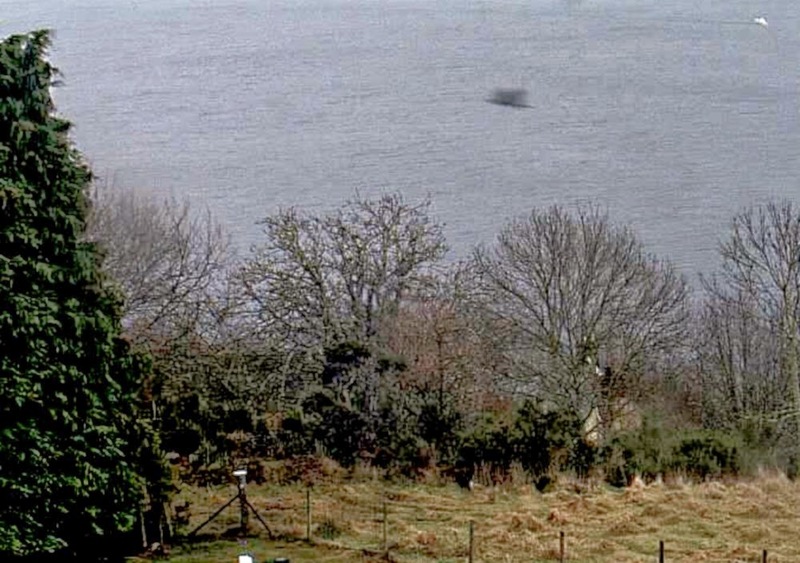 However, if it was a large object in the water, then it would have clearly disappeared from view within ten seconds by the time the second webcam shot was taken. This being the case, I would expect some kind of water disturbance to be evident from this disappearing act. Like me, you may occasionally search around the Internet for items of a cryptid nature. 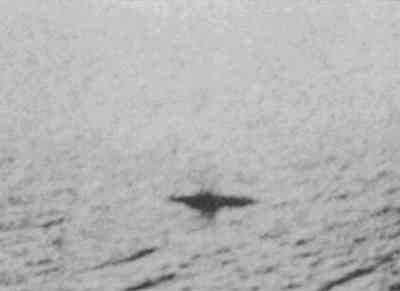 This image below came up and immediately caught my attention as it was a claimed photograph of Nessie. The website attributed it to an Alfred Gescheidt. As it turned out, Mr. Gescheidt was a famous photographer who died in 2012, but was well known for his pre-Photoshop like montages. He admitted to fooling people with a series of UFO photographs, and the raison d'etre behind this photo began to become clear. You can read his Wikipedia entry here. One presumes the underwater Rines photographs were being referred to here. Again, we see the problem of taking a convincing photograph of the real Loch Ness Monster which avoids the charge of being faked. Of course, if Mr. Gescheidt had included the backdrop of Lake Michigan's distant shore line, we would have more information. So chalk this one off next you stumble upon it.